After reaching the Sheikh Zayed road towards Jebel Ali and after crossing the Mall of Emirates, to your left hand side, take the extreme right lane then you will see a sign going to Hessa St. East. That take you directly to a short tunnel. Once you come out from the tunnel turn to the first right. To your left, you will see Ramee Rose Hotel, continue driving until you reach the round then tale the U-turn then right. This wonderful hotel is ideally located in the heart of Dubais new business district, only a short drive to Dubai Media City. 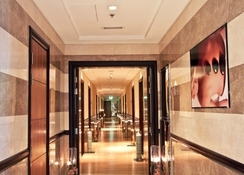 This is a brand new luxurious 3-star hotel which features 93 gracefully appointed guestrooms and suites. 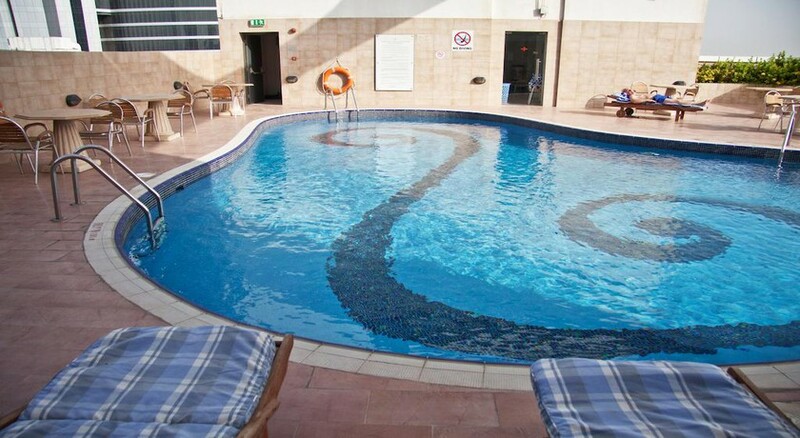 The hotel boasts impressive leisure facilities, business services including a Spa that takes up one full floor of the hotel, as well as a fully equipped health club and swimming pool with sun deck on site. 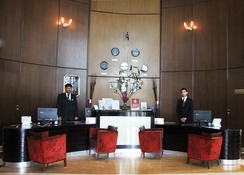 Dedicated business centre, fantastic casual dining facilities and unique clubs are available in the hotel. 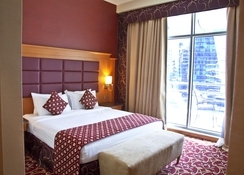 The standard rooms are designed for comfort with warm interiors, offering relaxing and inviting atmosphere. All rooms are fully equipped. In addition there are Wi-Fi, wall mounted flat screen television with satellite channels and safe deposit locker. This is a brand new luxurious 3 star hotel, featuring14 storeys and 93 gracefully appointed guestrooms and suites. 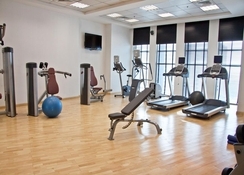 The hotel boasts impressive leisure facilities, business services including a Spa that takes up one full floor of the hotel, as well as a fully equipped health club and swimming pool with sun deck. Dedicated business centre, fantastic casual dining facilities and unique clubs are available too. Upscale rooms feature floor-to-ceiling windows and offer free Wi-Fi, flat-screen TVs and minibars; suites add living rooms and tea and coffeemakers. Room service is available 24/7. Amenities include casual to stylish bars and restaurants serving international cuisine, as well as a gym, a spa, an outdoor pool with a sun deck and a hot tub. Parking is free.